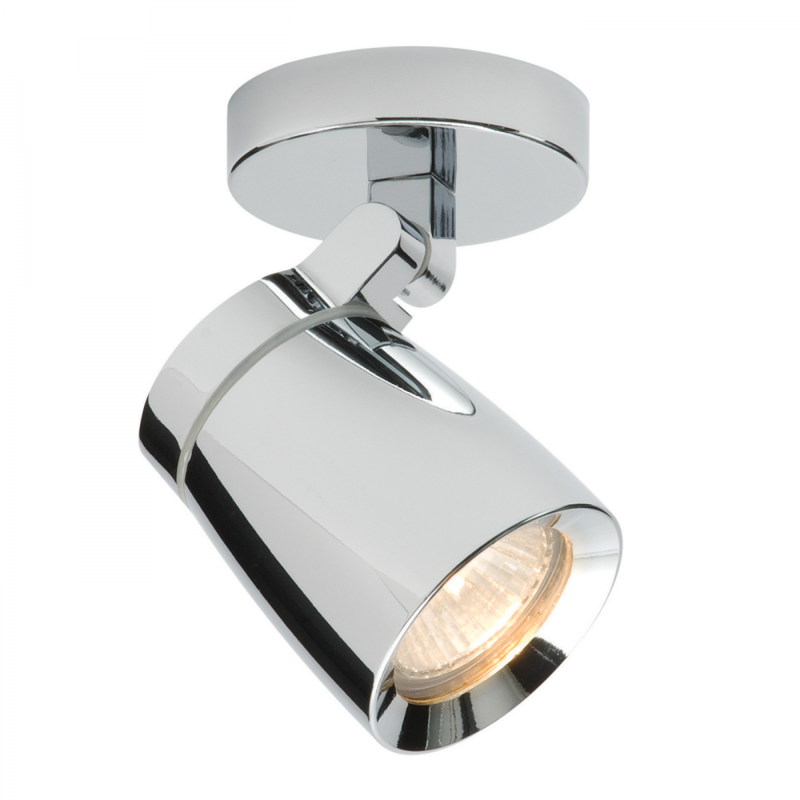 The stunning product single spotlight combines a high quality polished chrome finish, sleek design and functional form. With its fully adjustable head, this item offers a flexible solution to your lighting requirements. Matching items available. 14cm projection x 8cm diameter. Bulb information: 35W GU10 reflector - not included.